Roy is an exercise physiologist by profession with a Master’s degree in Exercise Science. He taught exercise science at Lake Washington Technical College (Kirkland, WA) to personal trainers for 19 years. After returning from 5+ years of expat life overseas in Singapore and Belgium, Roy decided that he no longer wanted to teach exercise science, so he attended a 3-day travel writing workshop in Portland Oregon in July 2007. Since July, 2007, he has had 750 articles published in over 170 different magazines, e-zines, in-flights, newspapers, websites and blogs. His work has been published in regional, national, and international publications and he’s considered to be one of the most prolific travel writers in the U.S.
Roy’s articles have appeared in the U.S., Canada, England, Scotland, Ireland, Australia, New Zealand and South Africa. 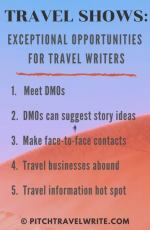 He writes on travel and culture, history and historic places, food, wine and beer, military history, military vehicles, writing, art, communications, health, fitness, running, triathlons, sports and film festival reviews. 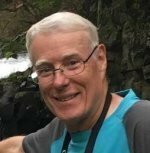 He writes the monthly destination travel column for 48 Degrees North yachting magazine and museum columns for several military magazines. Roy’s bylines have appeared in Britain Magazine, Scotland Magazine, International Living, Renaissance, This England, Australia & New Zealand, Zymurgy, Emirates Open Skies In-flight, Beers-of-the-World, Beer Magazine, Beer & Brewery, Beer Connoisseur, Cheese Connoisseur, Blue Water Sailing, Classic Boat, Coast Food & Arts, Sculpture, Lost Treasure, Northwest Meetings & Events, Popular Communications, Mid-Columbian, Northwest Travel, South Sound, Columbia Gorge, Gorge Guide, Off Road Adventures, Kitsap Sun, Sunday Oregonian, New Zealand Sunday News, South China Morning Post, GoNomad.com, GoWorldTravel.com, TouristTravel.com, Travellady.com, TravelPostMonthly.com, Travelmag.co.uk, YourLifeIsaTrip.com, AllwaysTraveller.com, Europeupclose.com, Realfoodtraveler.com, epicureantraveler.com, and many other magazines. You can find more complete lists on his professional writing website www.roy-stevenson.com. Roy travels around the world and the U.S. on writing assignments, including an annual month long tour of Europe and Great Britain. On his most recent tour of Europe he researched 23 articles for 11 different magazines, non-stop for 28 days! He has researched articles in Bali, England, Scotland, Ireland, Belgium, China, Paris, Normandy, Champagne, Barcelona, Prague, Budapest, Switzerland, the Netherlands, Helsinki, Luxembourg, Berlin, and many other cities. Roy’s expertise in writing for many diverse genre and niche magazines has received recognition in writing circles in the Pacific Northwest and around the U.S. He has shown that it is possible for freelance writers to be published in a wide variety of genres and magazines. Roy is also a speaker on the writing conference circuit around the U.S., and has presented at The American Writer’s and Artists’ Ultimate Travel Writing Conference, the Pacific Northwest Writer’s Travel & Words Conference, The Willamette Writer’s Conference, Write on the Sound Conference and The Whidbey Island Writer’s Conference. 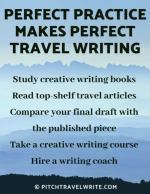 Many writing magazines have featured Roy’s “how-to” articles including Writer’s News, The New Writer, Writer’s Forum, WritersWeekly.com, AWAI’s thetravelwriterslife.com, The Right Way to Travel, The Barefoot Writer, and he contributes frequently to The Writer Magazine. Roy’s avocation is World War II history, and living overseas in Asia and Europe enabled him to indulge this passion. He visited more than 300 World War II museums, battlefields, and monuments throughout Asia, the Pacific, and Western Europe. He has become an authority on the Normandy Landing Beaches, the Siege of Bastogne, Third Reich sites in Germany, and many other significant World War II sites. The Battle of Waterloo is also one of his favorite episodes in Napoleonic military history, and he has led private tours around the Waterloo Battlefields. In addition, Roy has a deep love of track and field, being a former Auckland and New Zealand Universities 3,000 meter Steeplechase Champion, and he competed in New Zealand Championships on track, road and cross-country. He has watched the World Championships in Edmonton, Canada, and Helsinki, Finland; European Championships in Gothenberg, Sweden; and every year he visits Europe to watch several of the Golden League track and field meets in Europe. At these meets he has witnessed at least ten world records. And he’s loved every minute of it.